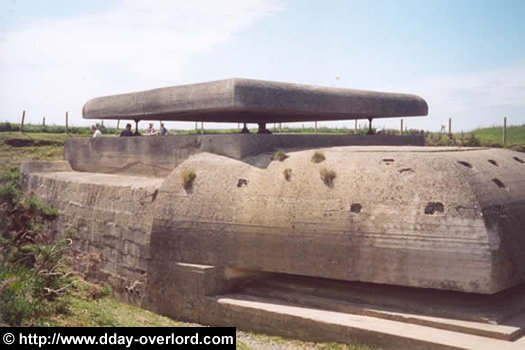 Longues-sur-Mer’s battery is located along the coast, eight kilometers north of the town of Bayeux, on top of medium cliffs of sixty meters high overlooking the sea. Its construction began in September 1943. 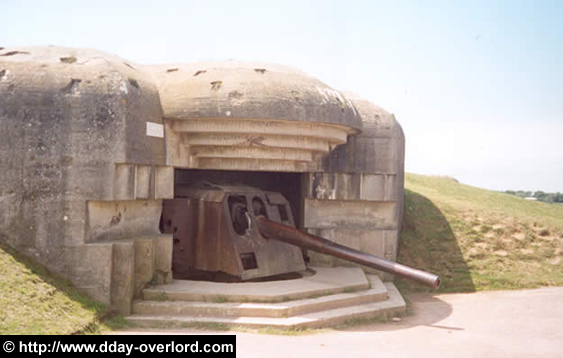 The Germans built four Casemates type Regelbau M272 between Arromanches in the east and Port-en-Bessin in the west, and the Regelbau M262A type command post equipped with an electrical communication system and Very modern shooting direction at the time. To this end, they use local craftsmen and local labor. The battery adopts code name Wn 48 and is armed by four 150mm TK C / 36 marine guns manufactured by Skoda, with a range of about 20 kilometers. These parts rest on a central pivot bearing Torpedolafette (TP) C / 36. In addition to these casemates, the Germans constructed shelters for the servants and ammunition bunkers, installed a searchlight and three 20 mm anti-aircraft guns, while protecting the entire site from possible attacks from inside Land by machine-gun positions, minefields and an extensive network of barbed wire. 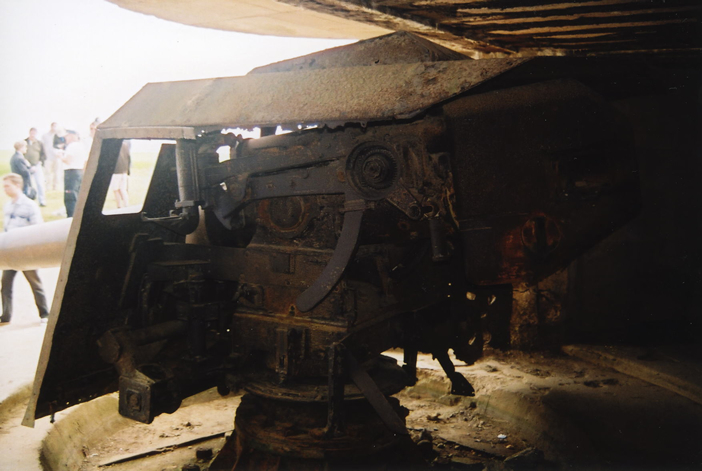 A 122 mm gun (a Soviet K390 cannon) also strengthens the site. The German garrison of the Longues battery is strong of 184 soldiers under the command of the navy, the Kriegsmarine. Within the local craftsmen employed for the construction of the site, French resistance fighters slip in to inform the Allies about the layout and capacity of the battery while sabotaging the concrete used for the construction of one of the M272 casemates, making it more fragile to blows. 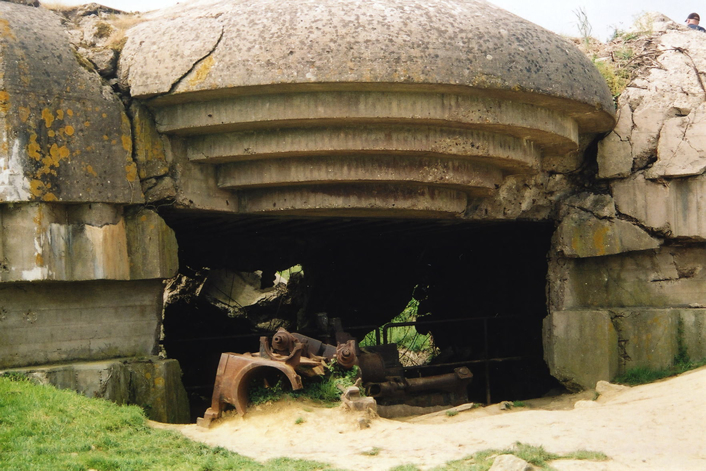 The MKB (Marineküstenbatterie) Longues is located in the center of the beaches of the allied landing, between the sectors of Omaha and Gold. This position favorable to the Germans worried the military chiefs who decided to launch multiple and powerful air raids from May 1944. 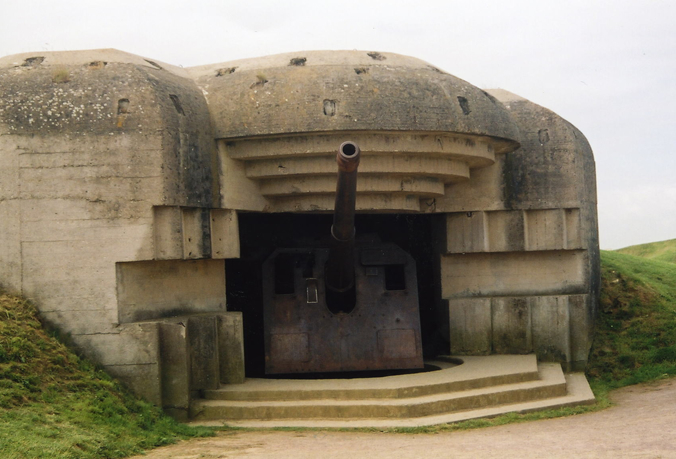 During the two weeks preceding D-Day, from March 28 to June 3, the battery receives not less than 1,500 bombs. Destruction remains limited, however, apart from one of the M272 casemates, whose concrete was sabotaged by the French resistance fighters and the electrical wiring from the command post to the bomb casemates causing the Germans to use a less rapid and less efficient communication system. 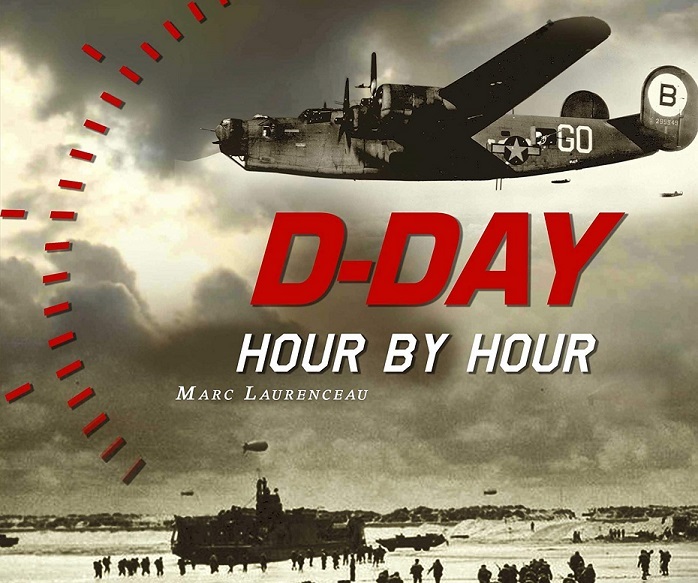 On the night of 5 to 6 June 1944, 604 tons of bombs were dropped on the site by 99 quadrimeters. Touched several times by direct impacts, the walls of the casemates, two meters thick and designed in reinforced concrete, hold up well. The British light battleship HMS Ajax, navigating the Channel in the naval force G, was given the task of opening fire after the squadrons had crossed the German battery at Longues-sur-Mer at five-thirty, with Its guns of 152 mm and of 102 mm. 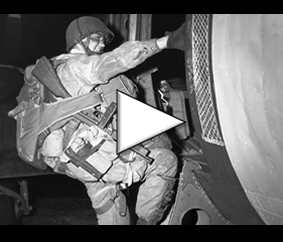 The German artillerymen responded by opening fire shortly before six o’clock in the direction of Omaha Beach, without causing serious damage. Starting at six past twenty, the battery at Longues engaged the flagship of the G (Gold Beach) force, the HMS Bulolo, which carried the staff of the British 30th Corps. The latter is then obliged to leave his anchorage and to fall back out of reach of the shots. The battleships Ajax and Argonaut were ordered to approach as close as possible to the shore to apply precise shots and opened fire on 179 occasions: the British response was such that the German battery plunged into total silence from eight Hours forty-five, making the sailors believe that they succeeded in destroying it. Later in the morning, after rapid repair work by the German artillerymen, the 150 mm guns opened fire again in the direction of Omaha. In reaction, the French cruisers Georges Leygues and Montcalm as well as the American cruiser U.S.S. Arkansas retaliate and then manage to destroy a piece by direct fire and damage two other guns. The battery remained silent until the fourth piece, surviving the artillery duels, opened fire again on the afternoon of June 6, alongside the 122 mm Soviet cannon towards the beaches Gold and Omaha, without being able to worry the Allies beyond measure. 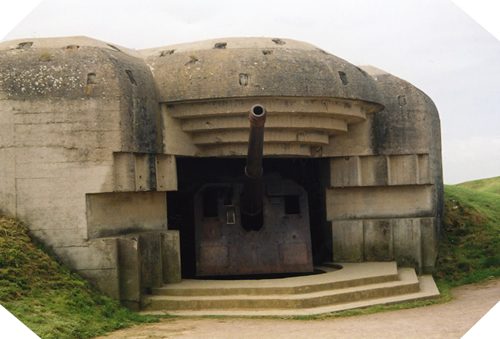 In total, the Longues battery fired 115 shells towards Allied forces during D-Day. On the morning of June 7, the Allies launched a new air raid that preceded the assault of the British troops of C Company of the 2nd Devonshire Regiment from Gold Beach, who captured the battery before noon and captured 120 German artillerymen and infantrymen survivors of the bombardments, surrendering themselves without any special resistance.